EOS has formed lower highs and higher lows to consolidate inside a symmetrical triangle. Price is approaching the peak of the formation, so a breakout could be due soon. Technical indicators are showing mixed clues on which way price might break out, though. 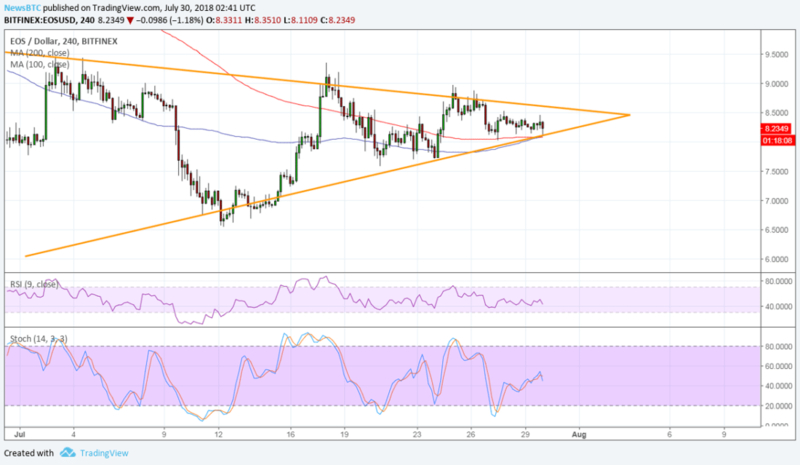 EOS price is consolidating in a symmetrical triangle pattern and is approaching the peak to signal that a breakout is looming. The 100 SMA is below the longer-term 200 SMA to suggest that the path of least resistance is to the downside. However, the gap has narrowed enough to signal that a bullish crossover is in the works, likely allowing support to hold or even for resistance to be broken. The chart pattern spans 6.500 to 9.000 so the resulting breakout could be of the same height. In other words, a move below support and the moving averages’ dynamic inflection points could lead to downtrend of 2.500 or a break past the 8.500 resistance could spur a rally of the same height. RSI is moving sideways at the middle of its band to reflect further consolidation. Stochastic is on the move up and has some room to climb before hitting overbought levels, which suggests that buyers could stay in control for a bit longer. 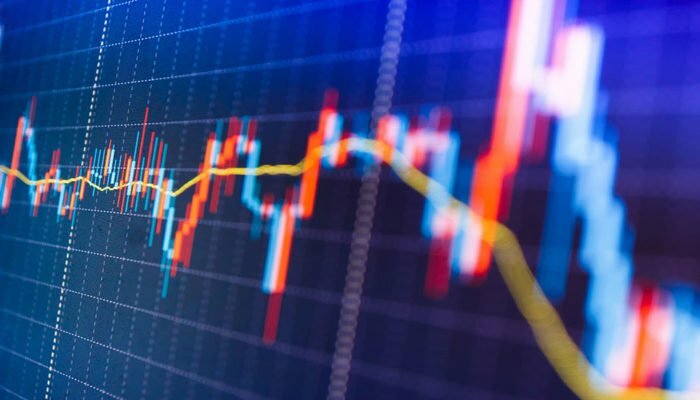 Most cryptocurrencies like bitcoin and EOS are currently stuck in consolidation patterns as they await the next set of market clues. Another round of positive updates, such as those pertaining to stronger institutional interest or regulatory support, could bring in more bullish momentum.